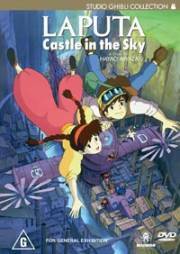 This page contains a listing of home video releases of Tenkuu no Shiro Rapyuta (Laputa: Castle in the Sky). You can order these titles through anime import stores listed in our Shopping Guide, though some of these titles may be out of print. If you have additional information on any of these titles, information on any titles we missed, or scans of any of the covers, please let us know. 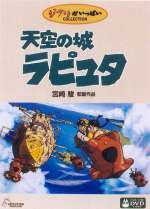 Mandarin and Japanese dubs (both DD 2.0) with English, Japanese, and Mandarin subtitles. 2 discs. 16:9 anamorphic widescreen. 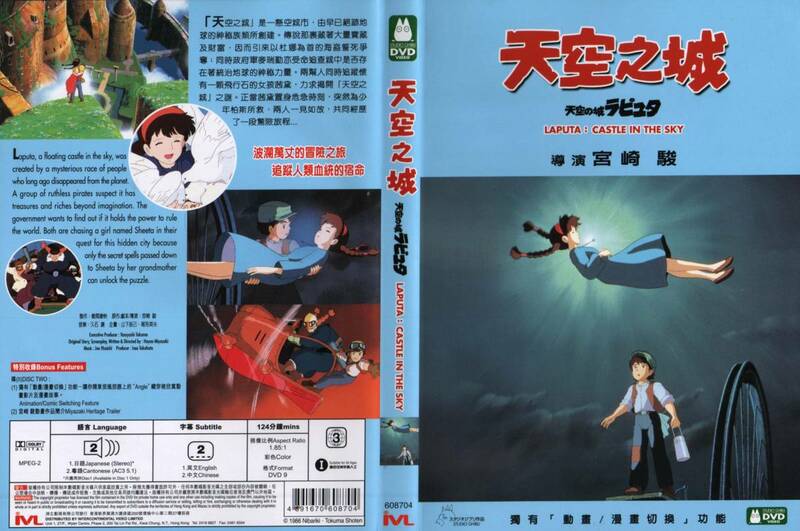 Japanese audio DD 2.0 (disc 1 only), Cantonese audio DD 5.1 (disc 1 & 2) and DTS 5.1 (disc 1 only). 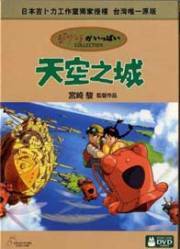 Contains English and Chinese subtitles. 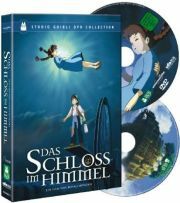 Second disc contains storyboards (with English subtitles), trailers, and other extras. Large scan of the slip cover. 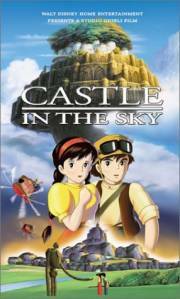 English and Japanese audio tracks with English subtitles. Extras include full storyboards and trailers. English and Japanese audio tracks with English subtitles. Single disc. English, French, and Japanese audio tracks with English subtitles, English captions for the hard of hearing, and French subtitles. Short storyboard sequence with alternate angle feature. 2 Discs. 1.85:1 Anamorphic widescreen. 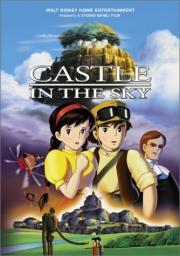 English (DD 5.1), Japanese, and French audio tracks. English subtitles and captions for the hard of hearing. 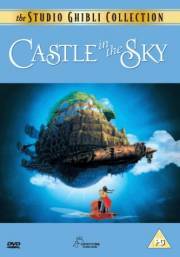 Extras includes complete storyboards (English and Japanese audio, no subtitles, no alternate angle feature), voice talent featurette, Japanese trailers, and an introduction by John Lasseter. 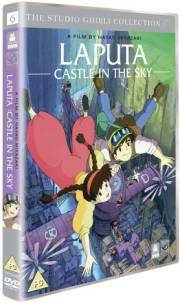 Same features as the Standard Edition with a film cel. 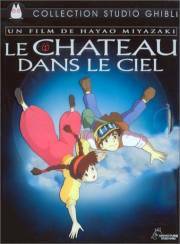 French (DD 2.0), Japanese (DD 2.0) and English (DD 5.1) audio with French subtitles and English dubtitles. 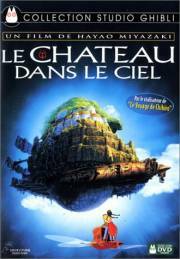 Standard Edition DVDs of "Le Chateau dans le Ciel" and "Princesse Mononoke". Two discs. 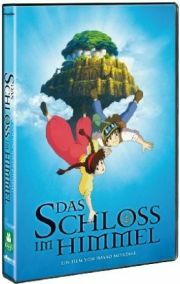 German and Japanese audio (DD 2.0) with German subtitles. Extras include storyboards, trailers and TV spots, original Japanese opening and ending, and five postcards. Single disc. 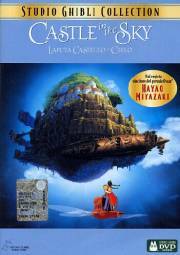 Japanese, Hungarian, and English audio (DD 2.0) with Hungarian subtitles. Extras include the trailer and a Hungarian audio commentary. Single disc. 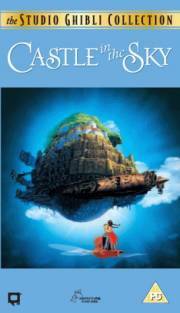 Italian, Japanese, English, and Spanish audio with Italian, English, and Spanish subtitles. 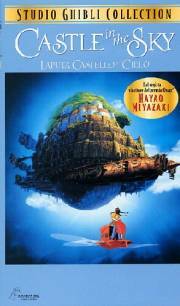 Pan and scan, Italian dub. 2 Discs. Anamorphic widescreen. Japanese and English audio (both DD 2.0) with Japanese and English subtitles. 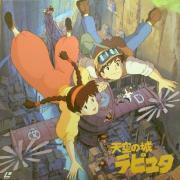 The English audio track is the older (non-Streamline) dub. 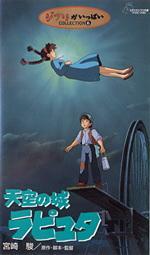 Second disc (Japanese audio, no subtitles) contains storyboards, trailers, and other extras. 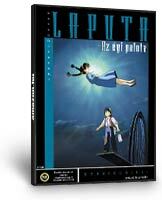 Includes CD soundtrack (rescored US version), Robot figure, and novel. Limited to 10,000 sets. Two discs. HiFi Stereo, Dolby Surround encoded. 16:9 (Letterboxed). HiFi Stereo, Japanese audio, no subtitles. 16:9 (Letterboxed), Hi-Vision Telecine, Digital New Master. 2 Discs. Anamorphic widescreen. 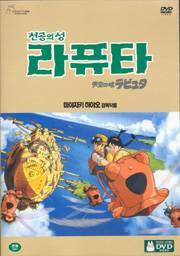 Japanese and Korean audio (both DD 2.0) with Korean, Japanese and English subtitles. 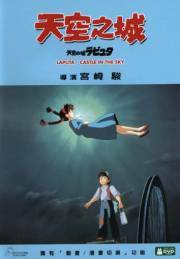 2nd disc includes storyboard-to-film comparison, character/staff information, and trailers (Japanese Audio with Korean subtitles) for Pom Poko, Spirited Away, Totoro, Mononoke Hime, The Cat Returns, Nausicaa, and Porco Rosso. One disc. 1.85:1 anamorphic widescreen. 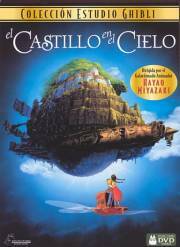 Spanish, English, Japanese, and Italian audio with Spanish, English, Japanese, and Italian subtitles.